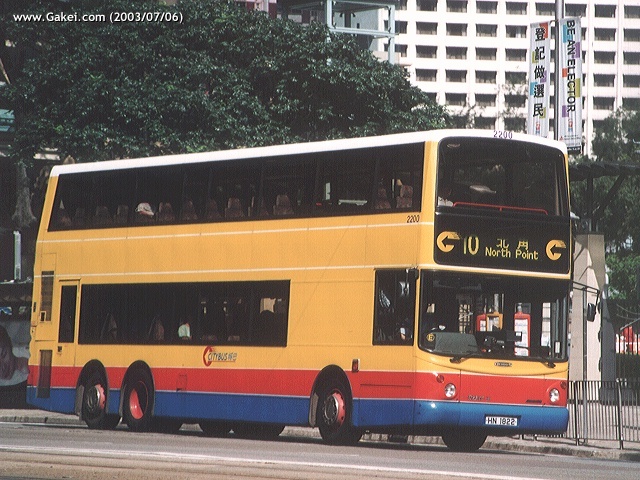 Citybus is the second bus operator of Dennis Trident. Bodies of the Tridents in the fleet are supplied by two body builders, Alexander and Duple Metsec. 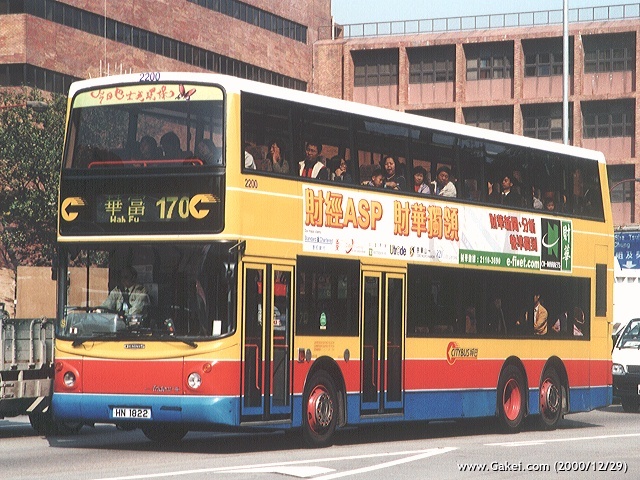 There are only 12 Alexander ALX500 bodied Tridents, the first one (2200), which is also a prototype, began service on 18 December 1997. The other 11 (2101-2111) joint the fleet in 1998. 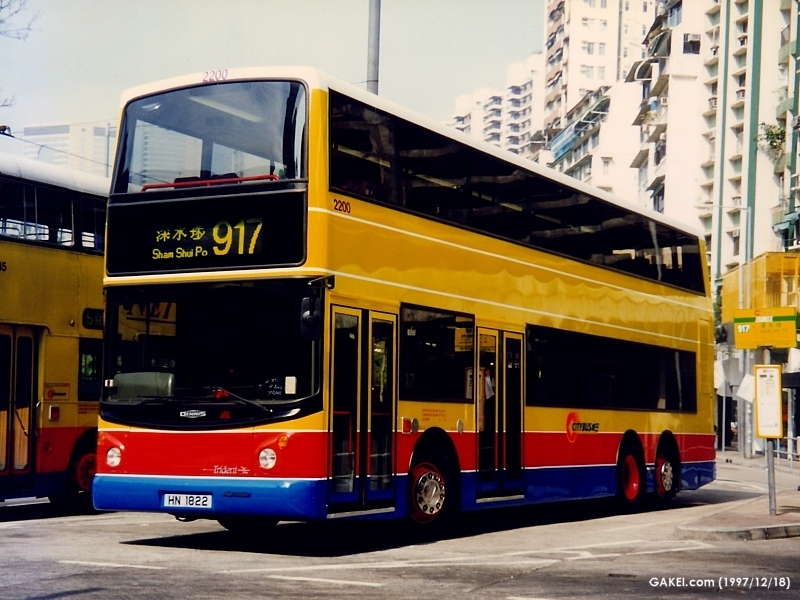 The 11 Tridents of production version, together with some 50 Tridents with Duple Metsec bodies, serve as "Airport Coaches" under the name of "Cityflyer". Unlike those Duple Metsec Tridents, these Alexander Tridents were not painted with the "Cityflyer" livery when new. However, 2101 and 2102 were re-painted with liveries of the "Cityflyer" version in 1999. However, these 2 buses, together with the others, were painted with all-over advertisement of a local airline subsequently. 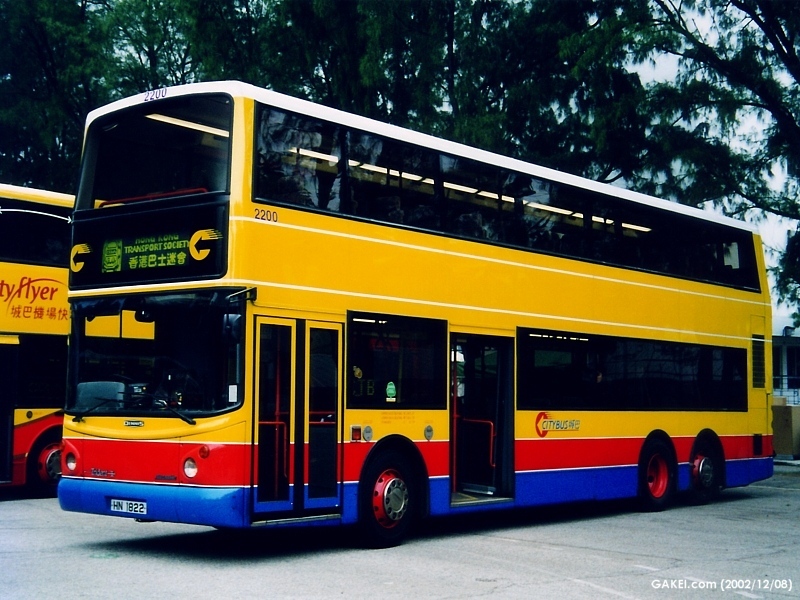 In December 2003, Citybus acquired from New World First Bus (NWFB) 9 Dennis Tridents with modified Alexander ALX500 bodies and EURO III engines. There fleet numbers are 2302-2310 respectively. These 9 buses started their services in January 2004.